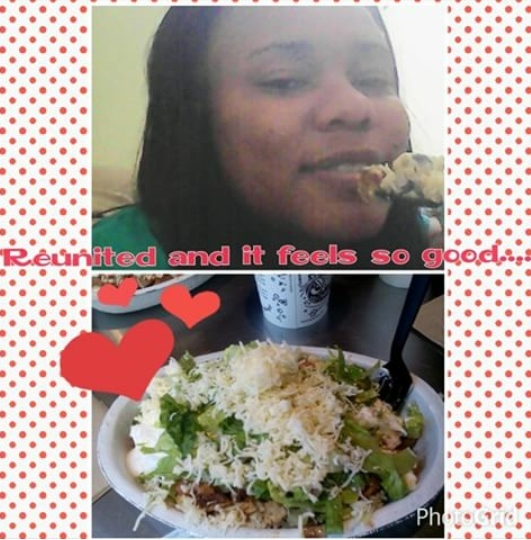 I had my 1st Chipotle chicken burrito bowl in 2012. While at work one of my co-workers suggested that we order from this tex-mex place not far from the job. It was cheap and sounded pretty good. Initially I ordered the bowl without black beans and thought it was pretty good. It just lacked salt. So when we ordered it again, I requested salt and they tried to be smart and gave me a container of about 1/3 cup of coarse salt. I kept and used that salt for about 2 years. Lol. Chipotle was my boo thang. Some of my co-workers left and new restaurants moved in and Chipotle and I lost contact. Qdoba moved in 5 mins from my job and the Craft 2 made me forget about my boo for awhile. When I became disgusted with Qdoba somebody suggested Chipotle again. 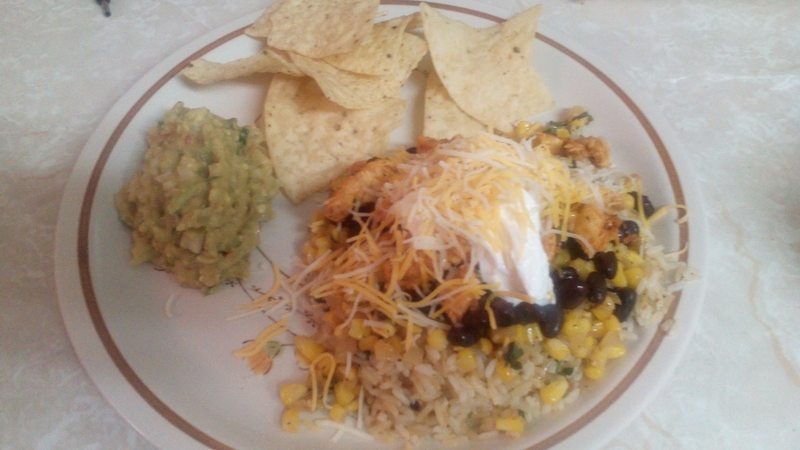 After the 1st bite, I looked at my bowl and then Usher started singing in the background; “There goes my baby…” From that moment on we rekindled our romance and I learned if I add black beans I won’t need as salt much. Winning!! Okay, I’m back I was getting emotional. Earlier this month, I had the greatest gift ever delivered to my e-mail. I went bonkers! I was on the phone with my friend who thought I was going crazy. Lol. Why didn’t I think of this before? I missed my boo so bad and now I have a chance to reconnect in my own kitchen. I signed up to receive recipes from iheartrecipes.com and Ms. Rosie made my day with this one. I told all my friends I’m making it that week. It was all I could talk about. I went and gathered the ingredients from my spot, Your Dekalb Farmer’s Market, came home and went to work. Hell, I was so excited I even made my 1st guacamole. I don’t even like guacamole. Well, I didn’t like it until now. The recipe was great! I tweaked it and put my spin on it, but it is a fantastic start. Since I can’t be with my boo, this is the replacement. And I have to say, it was damn good! 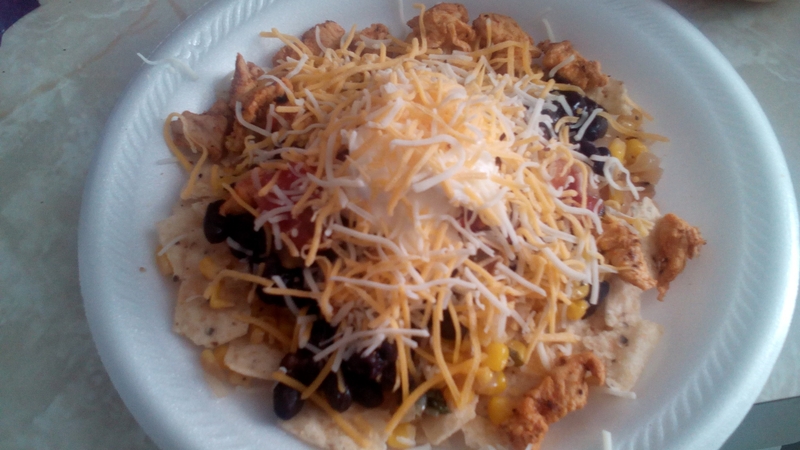 After I’d eaten all of the rice, I made nachos. Soooo, good!